The NFTY News tracks the ever-evolving narrative of how the mainstream will enter crypto through user applications. 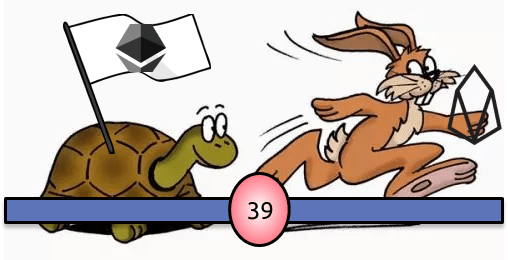 In each edition I explore non-fungible tokens, dApps, and the ecosystem affecting consumer crypto applications. We’ve seen an explosion in tools recently for blockchain games & communities, and it didn’t stop this week. Forte, Scatter, and Aragon are also introducing new tools to help blockchain developers & communities. I’ll also be sharing some of my thoughts and takeaways from NFT.NYC! Kevin Chou, previous CEO of Kabam Games, announces his new venture into blockchain games with other executives from GarageGames, Unity, and Linden Lab. Forte will be creating tools for blockchain game developers while they focus on building great games, not having to worry about any of the blockchain stack. While the games industry continues to grow worldwide, growth is slowing and continued consolidation has seen 77 percent of global game industry revenue captured by just 25 companies, according to market researcher Newzoo. This increased competitive pressure among free-to-play game developers has resulted in more aggressive monetization patterns, leaving many players feeling burnt and disappointed by new products. Blockchain technologies create opportunities to align developers with their players with increasingly player-driven peer-to-peer economies, Chou said. Scatter is the MetaMask for EOS and other smart contract protocols besides Ethereum. The team behind Scatter just announced the Scatter Marketplace, a marketplace integrated within the extension. While the exact details of what and when of the marketplace haven’t been released, this is a sign that EOS wants to dedicate most of its resources into becoming the de-facto protocol for the gaming Metaverse. Aragon recently announced the ability for Aragon DAOs to use existing Ethereum contracts using a “multi-sig steroid account”. In the past, Aragon DAOs had to take the funds outside of the organization and send them to a trusted operator. The killer opportunity here is capital formation for “cross-game guilds” commonly seen in Massive Multiplayer Online communities. In the blockchain gaming realm, CryptoKitties often has players banding together in order to optimize on the opportunity for fancy cat chases and breeding. Decentraland has communities setup for large, set-aside districts. War Riders has clans. These organizations already exist. Giving these communities the tools to interact with contracts directly inside of the organization might change the game, as communities start to band together for an investment opportunity using interfaces & collaboration as opposed to interacting with the game directly. We can already create our markets through non-fungible tokens. Soon, we’ll be able to create our own markets on Augur through Veil’s easy-to-use interface. At what point are we at market saturation? Information & widespread ideas will fold into markets, ultimately deciding the truth to certain ideas. I spoke at NFT.NYC this week on creating non-fungible tokens from blockchain events. Market makers can attach non-fungible tokens as part of the reward to bootstrap participation in the network. A great example of this is 0x’s governance proposal for ZEIP-23. Users received a “I voted” badge regardless if they voted Yes or No for the vote. Expect to see more protocols & contracts use ERC721s as an additional incentive. 2. NFTs are trying too be different from crypto. It shouldn’t be. The “C word ending with o” was told to be forbidden at the conference. The reason being that the community is focused on building, rather than prices & ICOs. But we’re fooling ourselves — non-fungible tokens aren’t really that different from fungible tokens. Both are tokens — one has definitive price discovery and one doesn’t. Both will forever co-exist. They could be used together to create interesting cryptoeconomic incentives tied with social capital. The more non-fungible tokens become a closed silo, the more the project is built as closed ecosystem, missing several opportunities to collaborate with the rest of the ecosystem. As a result, these closed silo projects spend more time on development when some other project has most likely already built it. Liquidity starts to become even thinner. Not much has changed in the past few months. CryptoKitties still remains champion. Scalability hasn’t been solved. We’re focused on building great experiences and games “that live on the blockchain”. As a result, we’re looking for solutions so we can create good games. The community seems to be confused on what their final destination is. Just be cautious. If you switch to a different protocol, that means you’re giving up on standards & tools that have already been built that are available for your use. Don’t chase shiny objects unless there’s a good reason. If you are working on creative use cases, or working on trying to get more people into crypto and reaching end users using non-fungible tokens, I would love to talk about how I can help. Reach out to me on twitter @flynnjamm, my DMs are always open. The NFTY News should not be construed as legal or investment advice.